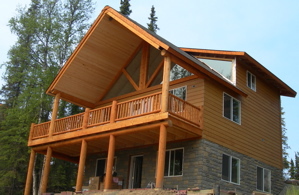 One of the Stillwaters Chalets overlooking Soldotna Creek below. 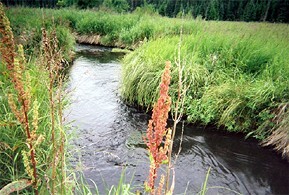 The Kenai Peninsula offers a wide range of choices for lodging. Most of our guests over the years have thoroughly enjoyed the atmosphere and personal service offered by the Bed & Breakfasts in the area. Below are some on the Peninsula that we have personal knowledge of and can highly recommend. If you do book with any of the B&B's listed below please tell them that you were referred by Dave at ALASKA KENAI KING CHARTERS. Thanks!